Love sugar? Do you think you're addicted to it? Have you experienced low energy, fatigue, irritability, brain fog, or food addictions? Are you constantly craving sweets and want to understand why this is happening to you? 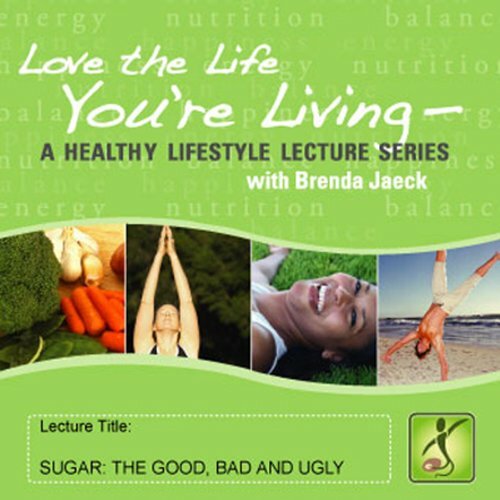 If you want to gain control without willpower or deprivation, this lecture by Brenda Jaeck will certainly help you to do it! Jaeck is a lifestyle and nutritional counselor, lecturer, and workshop facilitator who helps people create and maintain balance by using food as a positive focus and tool. Jaeck is also a certified Jivamukti yoga teacher. Healthy alternatives: explore our full list of titles from Brenda Jaeck. Ouch. Hard voice to listen to and not a very coherent presentation. Would not recommend.